The Blackhand Raiders is a Cowboy Action Shooting Club, located in east-central Ohio. 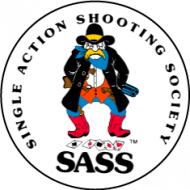 We are affiliated with the Single Action Shooting Society (SASS). Our shoots are governed by the rules of SASS. 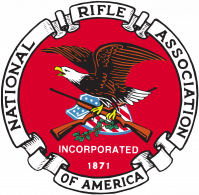 Our mission is to provide a fun, safe and family-friendly environment in which friends can gather to enjoy the shooting sports. As long as 12,000 years ago, Native Americans traveled through the Ohio area on trails. One such trail traveled through what is now the Licking River gorge at Toboso. On a massive cliff in the gorge was carved an ancient Black Hand petroglyph. It was told by Natives that the Black Hand signified that travelers through here on their way to and from the flint deposits of Flint Ridge were to travel in peace. Workers constructing the Ohio-Erie Canal destroyed the Black Hand while blasting the canal-way in 1828, but the area still celebrates the Native American Black Hand of Peace in absentia. The Blackhand Raiders Cowboy Action Shooting Club chose this name in honor of the area's tales and legends!